Liv has been so poorly for the last week, a hospital trip and two Doctors later she has an inhaler and antibiotics. She seems to be getting a little better now but I credit that to watching her favourite film repeatedly, with her favourite characters. 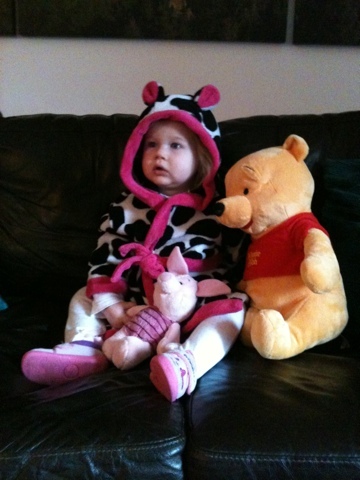 Only the Adventures of Winnie the Pooh (1977) will do, she cannot be fooled by any of the others! ah, really hope she's on the mend now - and that you've had a stiff drink to get over it all!